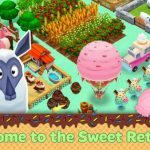 Bakery Story 2 was released a couple of months ago by Storm8 Studios, and now it just got an update, so we thought we will share some new tips and tricks with fellow players. As a backgrounder, the game allows you to run your own bakery even if you make a hot mess out of anything you bake in real life. 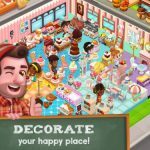 You can create your own desserts in the game, collect special ingredients, decorate your bakery, and share your sweet treats in a three-dimensional in-game world. 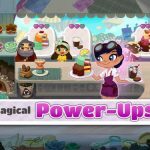 Aside from baking pastries and decorating your shop as part of the game’s general flow, you can also play a variety of different mini-games, all of which could be very helpful as you cook more treats and earn more profit. So how do you run your own bakery and make it run like a well-oiled machine? How do you make this bakery profitable? And how can you customize it to the best of your capability? We’ve got the answers to all those questions for you, here in this Bakery Story 2 strategy guide. If you see that you’ve got some customers being turned away, then you’ve got problems. 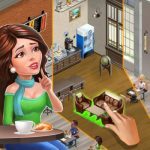 From the get-go, you should make it a point to expand your bakery by adding new tables and chairs, thus allowing you to serve more customers and earn more money. If you’ve got new appliances to buy and recipes to bake, then take advantage of those the moment they are available. With each new recipe you unlock, the larger your profits will be for that recipe. The catch here is that you may need to spend quite a bit for a new recipe to be unlocked, but you will easily be able to make up for that, as the new recipes pay for themselves. Oh yes, it’s that tip once again. And it’s quite an important one in Bakery Story 2. Always follow the quests so that you’re following the story the right way, and complete them so you can earn more experience points. More XP, as you may probably know by now, means more recipes, and allows you and your bakery to level up faster. Want to bake faster and serve customers and earn more money quicker as a result? Take advantage of Quick Serves! The thing with this feature is that you will need to connect your game to Facebook and ask your friends for Quick Serves ; this is the most effective way to get them, though you can also get a Quick Serve if you complete a To-Go order (see below). Quick Serves speed things up if you’ve got a recipe with a long baking time. Even if you’re not playing the game, customers will keep dropping by your bakery; this isn’t like it is in real life, where business ends whenever the owner closes the store for the day. So if you’ll be stepping away from the game for a while, or turning in bed for the night, have as many baked goods as possible on your counters. Return to the game and you’ll see that you’ve earned a good number of coins. This will often require you to upgrade your grocers, thus allowing you to get ingredients quicker. Aside from what we told you above, you should also make sure that your appliances are all baking recipes, particularly the newer recipes. This is important if you want to serve a lot of goodies to customers the next time you log back into the game. You can also complete To-Go orders, and doing so will earn you parts. Parts let you upgrade both your grocers and your Pantry, and also play a role in expanding your bakery and earning more profits. In some instances, you might even get some gems as a reward for To-Go orders; gems are the game’s premium currency, and you can use them to buy high-level decorations for your bakery. Your Mixer should be active every time, as that will allow you to make more ingredients. Don’t underestimate the Mixer, as a lot of quests and To-Go orders will ask you to bake stuff that would require ingredients only creatable via the Mixer, e.g. Frosted Chocolate Brownies. Keep that Mixer running and make a lot of items with it, saving them in your pantry for future use. Events are a great way for you to bake stuff you normally wouldn’t be able to bake, and thusly earn more money and experience. (Yes, it’s mostly about earning money and experience in this game!) There is always at least one event per month in Bakery Story 2, and these are all limited-time events with limited-time recipes. Typically, baking and selling these special-edition goodies will earn you more coins than you would with “normal” recipes; if there’s an event ongoing, make sure to take part in it! Additionally, you can get some exclusive decorations for taking part in the special events, and you would be able to use these decorations any time in the year. But you will have to grab these items while they’re available, because once they’re gone, you might have to wait till next year, and that wouldn’t even be a sure thing. At the end of the day, there is no right or wrong way to play Bakery Story 2. You may be more focused on profit or more focused on the social element, or you might enjoy the decoration mechanic of the game, collecting more decorations to spiff up your bakery and make it look as aesthetically appealing as possible. Regardless of what you want to focus on, do it right, take your time, and don’t get discouraged if things don’t go as well or as quickly as you hoped! Want more hints for Bakery Story 2? Be sure to check out our previous guide for this game, which contains some general gameplay hints. Also, if you know additional tricks, don’t hesitate to drop us a line!